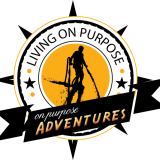 This past weekend On Purpose Adventures had the pleasure of being part of one epic flyboarding birthday adventure. If you are unfamiliar with flyboarding it is similar to the water jet back only a lot more fun. Think Ironman on the water and when you see the pictures you will probably agree. So let’s get down to the details. The birthday boy wanted a unique party in which to invite a bunch of friends to try something most have never done before and spend a whole day on the water. HydroFly was just the event venue for this. HydroFly operates flyboarding in both Charleston, SC and in Myrtle Beach, SC but the birthday was to take place in Charleston. OPA was able to get them a great group rate including catering on the water….more on that later. The Charleston branch of HydroFly offers more than just flyboarding. They have one of the most unique setups you will ever see. Located just off Brittlebank park on the Ashley River they have a floating dock in the middle of the river. The dock was plenty large enough to accommodate the 20 people for the birthday party. Sam and James the team running HydroFly pick you up by boat and shuttle you out to the floating dock. They had large coolers with ice ready to be packed full of drinks and fold up chairs to lounge in on the dock while your buddies take to the air. In addition to the flyboarding HydroFly offers paddleboarding, boat charters, and fishing charters and while the party wasn’t really worried about fishing they did take to paddle boarding. Nowhere else on the Charleston peninsula will you find paddle boarding then with HydroFly. They were even recently featured in the Charleston City Paper. On to the fun of flyboarding. Each member of the party got 15-20 minutes of fly time. Sam helps you get buckled into the flyboard that has two wakeboard style boots attached to the flyboard. The board is powered by a high pressure hose attached to a jet ski. The flyboard instructor actually rides on the jetski controlling the pressure or how high you go while you are riding. They keep a close eye on you and never give you more than you can handle. They also give you pointers on what you could do a little different if you are having trouble getting though most get the hang of it within the first five minutes and are flying high. We can promise you from personal experience that once you post pictures of your flyboarding adventure you will have all kinds of people asking Whaaaaaat??? We can even see to that your group is fed on your full day adventure. The birthday had full service catering with some of the best burritos in Charleston brought directly out to the floating dock by jet ski and even had bags of boiled peanuts thrown in. Whether you are a group of 20 or 4 flyboarding is an experience you won’t soon forget and an adventure your friends will be talking about for the rest of the year. 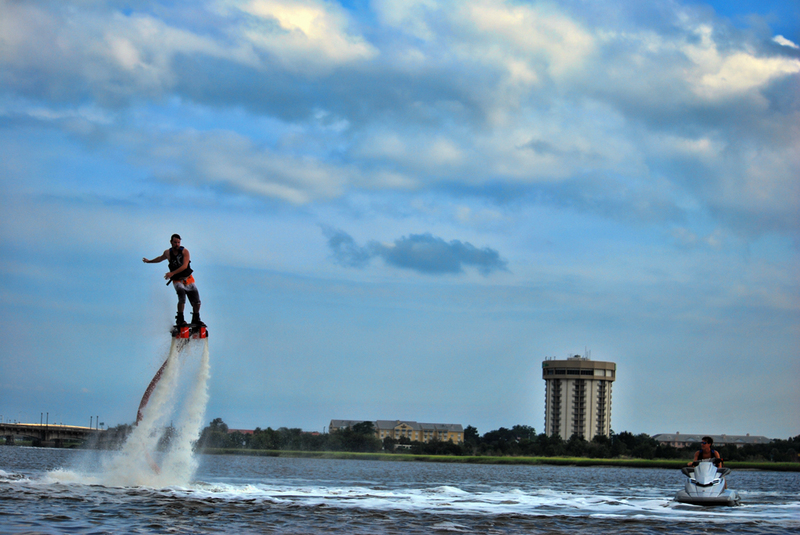 If you would like more information on flyboarding in Charleston, SC or in Myrtle Beach please Contact Us.